Should you plan a trip far in advance or last minute, to take advantage of possible deals? If the trip you’re planning is one involving luxury hotel or resort stays, cruises and first class or business class, you should plan as far in advance as possible – generally a year in advance. If the procrastinator in you is balking, here are 5 reasons why you should rethink last minute planning, if your trip includes luxury hotels, cruises and airlines. While the best hotels and resorts in the world can’t be booked using loyalty points or frequent flyer miles, fortunately, many of the best airline products can–but only if you or your travel advisor are ready to book as soon as the award calendar opens and monitor for space. I’ve personally flown Etihad First Apartment on the A380, Singapore Suites, JAL First Class, Cathay Pacific First Class, Qantas First Class, Lufthansa First Class, British Airways First Class and other first class and business class products, all on frequent flyer miles, and my clients have flown all of these products and more with their miles. Yes, there can be additional award space that opens up last minute, but it’s a gamble, and best to already have backup award flights that work for your trip dates rather than frantically try to pull air, hotel and activity reservations together last minute. Another good aspect of award tickets is that they are typically less expensive to cancel and reinstate the miles back to your account, than the lowest priced airfares, which are either non-refundable or come with steep cancellation penalties. Anyone who has waited until July to plan a Christmas and New Year’s getaway at a popular warm weather luxury resort has probably vowed to never wait that long again. The very top resorts, in fact, are impossible to get into because they have a loyal following of clients that return every year and get first priority for their “usual” suite or room, with everyone else relegated to a wait list. But as long as you’re ready to book 1 year out, there are other luxury resorts that have some limited availability, often gone by March if not earlier. If you have your eye on a particular suite at a luxury hotel, for a special occasion such as a honeymoon, anniversary or birthday, you’ll want to reserve it well in advance to avoid disappointment. Another great aspect of booking a pricey luxury suite well in advance is that there is sometimes negotiating room. Note that I’m not talking about rooms going for a few hundred dollars or pounds, but rather special suites that are several thousand a night, and which you’re reserving for multiple nights. 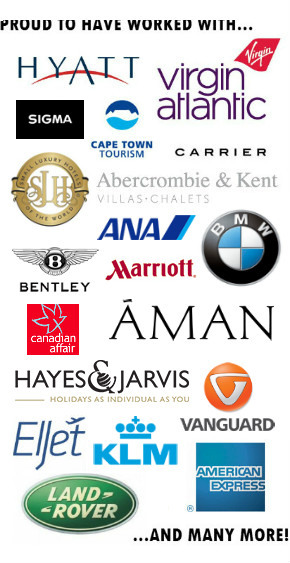 I’ve negotiated some of these for clients, and your best bet is to use a luxury travel advisor who regularly books the property in question for clients, as he or she is likely to have more negotiating power due to their strong relationship with the hotel than you will, if this is only your first or second time at the property. A key criterion for many families is having connecting rooms. Since these can be very limited at some hotels, it’s all the more important to reserve well in advance. Not all hotels will guarantee connecting rooms–some will only note your request and say they will try their best to accommodate it. That said, I’ve found Four Seasons hotels to be better than most other luxury hotel brands in guaranteeing connecting rooms in advance. If it’s your first time in a destination, or you want to delve deeper into a city’s history and culture, a private guide is an excellent idea. We’ve used private guides on our own visits to Rome, Florence, Pompeii, Moscow, Sydney and Paris, and I often recommend private guides to my clients. The guides that are incredible at what they do, such as Katie Parla in Rome, are highly in demand, and often book up months in advance for high season dates, so this is another reason not to leave your travel planning until the last minute. Foodies who want to sample the very best culinary experiences at their destination, take note: some of the best 3 Michelin Star restaurants book up 11 months to a year advance, sometimes within minutes of the reservation calendar opening. 3 Michelin Star El Cellar de Can Roca in Girona, Spain, comes to mind–it’s often impossible to get a reservation unless you book at midnight Girona time the first of the month 11 months before you wish to dine. How far in advance do you plan luxury travel? Planning your trip is especially important when it comes to luxury travel where certain events and tours need to be reserved. Some things though it is best to be open about, you are never going to be able to plan everything. For me part of the fun of travel is not knowing exactly whats going to happen next! I think it’s really important to plan well in advance to get the best of everything. Also it’s really exciting to plan ahead too! For us, it’s important to get connecting rooms. Zach and Maya, thanks for your comments. I absolutely agree that you want to leave time for serendipity and discovery when traveling. The major things for a luxury trip, such as business or first class air travel to get there and the hotel (if a luxury hotel or resort), however, are best not left until the last minute–especially, as Maya says, you need a connecting room.